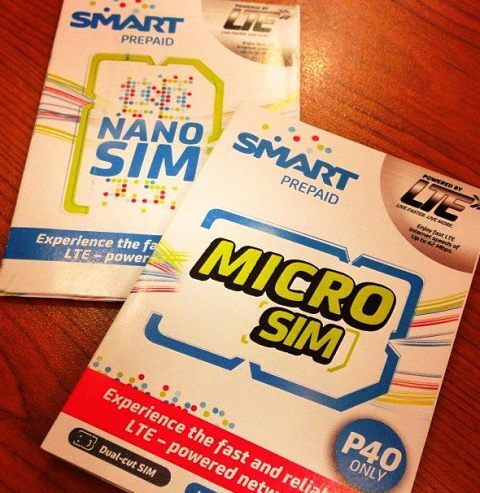 SMART Communication has launched the release of SMART LTE prepaid SIM, available in both Nano and Micro SIM for latest hand-held devices that supports 4G/LTE internet connectivity. Although, LTE signal is not available nationwide, SMART is continually upgrading their towers, and thus giving more accessibility to latest internet technologies. How to register for LTE 50? How to register for LTE 299? Hot to register for LTE 995? What is SMART LTE and What are the Benefits? LTE or Long Term Evolution is the latest network connection today, LTE uplink data service of up to 50Mbps max upload speed, and LTE downlink data service of up to 100Mbps max download speed. SMART uses 1800mhz and 2100mhz for LTE/2G/3G. For Php40.00 for each SIM, and available in Nano SIM for iPhone 5, and Micro SIM for micro SIM supported devices, such as Samsung Galaxy S4.